Meet Sarah, an Australian blogger that combines travel and fitness together. Sarah is a full time travel blogger from Melbourne, Australia. In 2012 she started the blog as a diary and since 2014 she hosted it on a website. After finishing school she followed her childhood dream and worked in the travel industry for 10 years. Then she moved on to her next passion, which was fitness. She managed a well known Australian female fitness centre for under three years. Sarah and her husband travel a lot to Asia. They have travelled to different places in Asia such as Thailand, Malaysia, Myanmar, Vietnam, Cambodia, Indonesia, Sri Lanka, India and the Maldives. They consider themselves to be in a way backpackers or flashpackers. They are also foodies tasting as much variety of food as they can wherever they travel. Sarah travels with her husband Paul, who should really have a blog of his own given that he had a double lung transplant over 10 years ago! He is a master these days of packing three months worth of medication into his luggage! 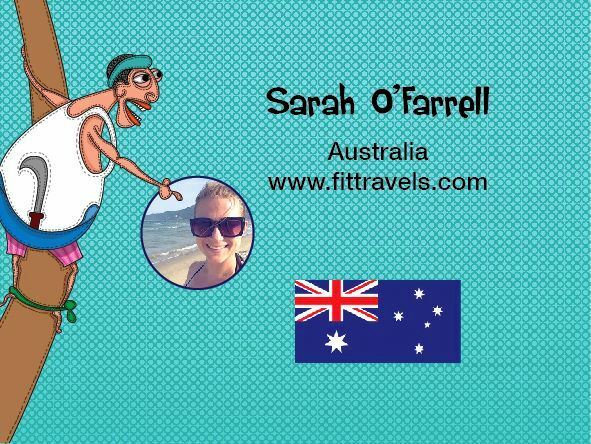 On Sarah’s website: www.fittravel.com you can find the stories of her travels. Besides, she also shares travelling tips especially if you are going to travel in Asia. So I really recommend you that you check it out if you are planning a trip to Asia in the future. As she also does reviews for hotels, you already have information about her experience at certain hotels, which might be very helpful for you. Check out the video and learn how it is for her to travel with her partner. Hear about their differences regarding travel and what they have in common. This lovely Australian blogger is your doorway to your future adventure in the beautiful continent of Asia. What are you waiting for?! Go and explore Asia.